I know, it has been months since I’ve posted a cocktail on this blog. Shame on me! I’d like to say that it’s because I haven’t been drinking but anyone who knows me knows that’s just stupid. During the winter, I primarily drink red wine (it keeps me warm!) but now that the weather is getting warmer and the sun is cheerfully out, what better time to introduce a new cocktail? I’m in love with sangria and am willing to try just about any concoction out there. 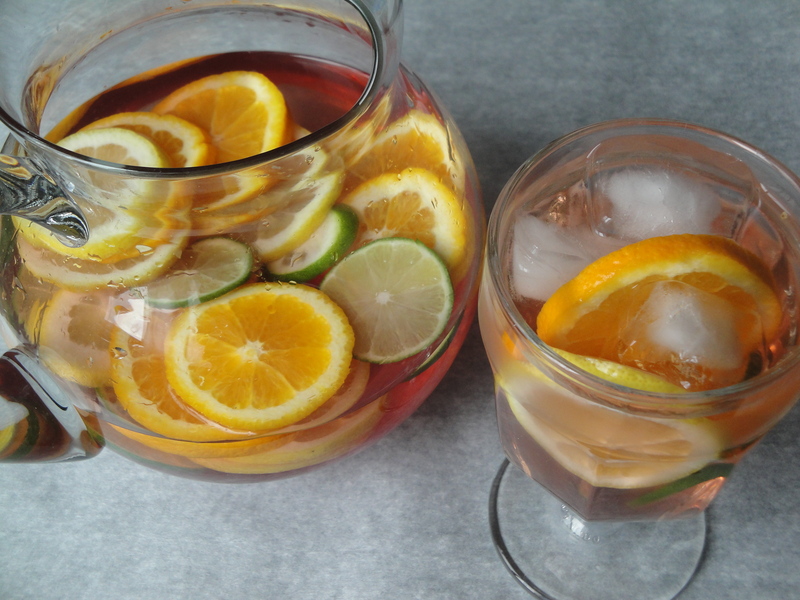 Hence, this Citrus Sangria. 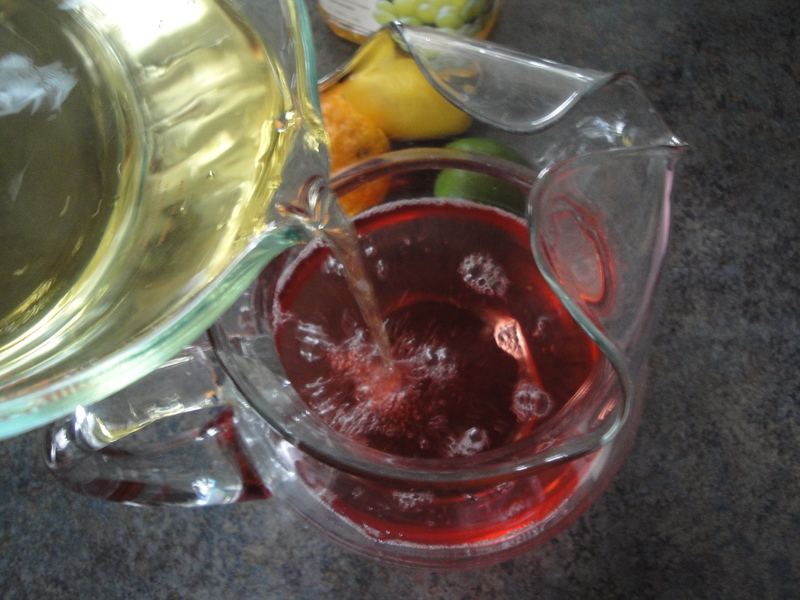 This is so unbelievably simple – just white Zinfandel, white grape juice and fruit. I’m not normally a white Zin fan but this sangria is incredibly light and refreshing, making it great for a brunch cocktail. 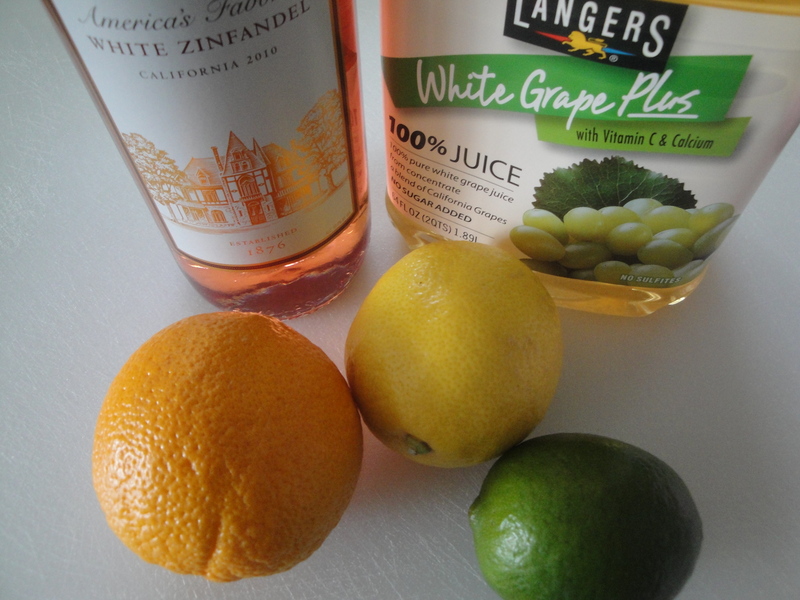 Feel free to substitute the white Zinfandel with a fruity white wine (like Pinot Grigio) if you prefer. Have a great weekend everyone! 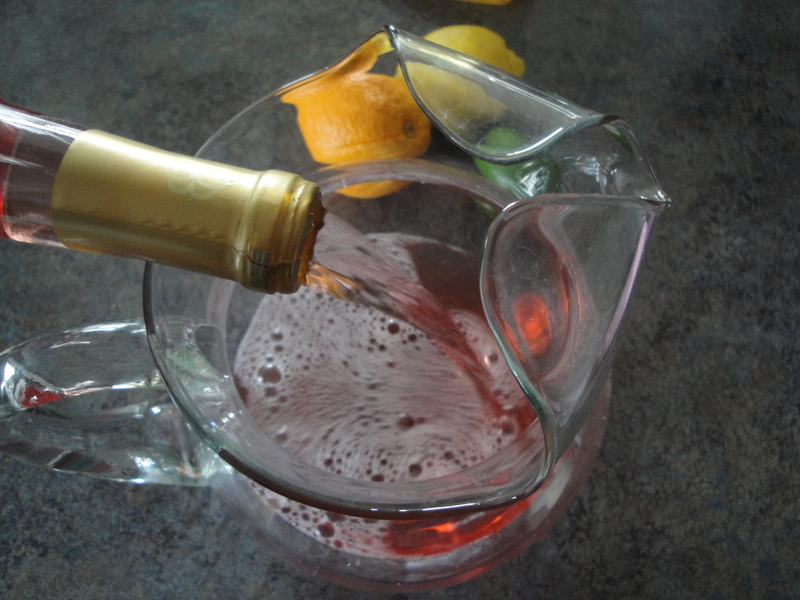 Pour the entire bottle of white zinfandel into a pitcher. Add in white grape juice. 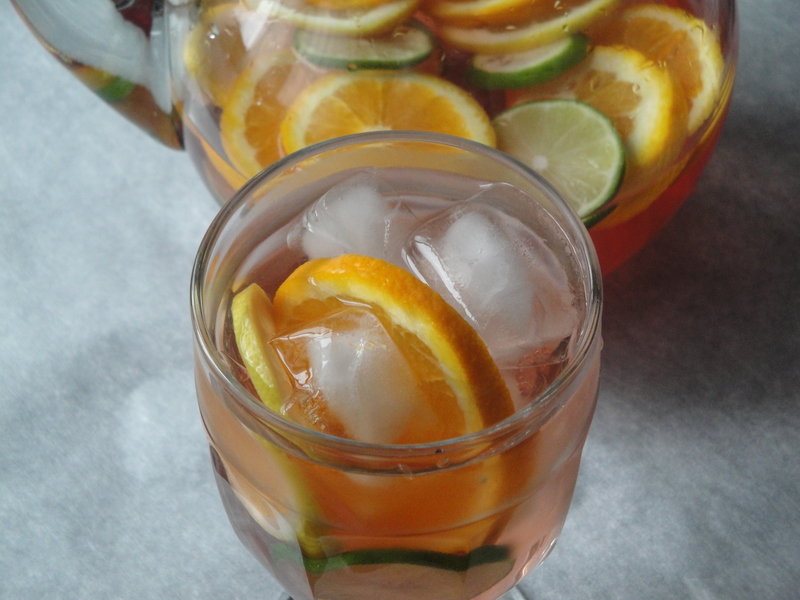 Drop in slices of fresh oranges, lemons, and limes. Sounds delicious! 🙂 Sorry I’ve been absent, new job, not much time for WordPress.